BMW Films has teamed up with Academy Award nominated director Neill Blomkamp (“District 9,” “Elysium”) to create an action-packed short film to promote the new upcoming 2017 BMW 5 Series. German ad agency Serviceplan was given the challenge to turn young potential motorbikers into fans of the BMW Motorrad, by staging the brand in an unseen and fascinating way. 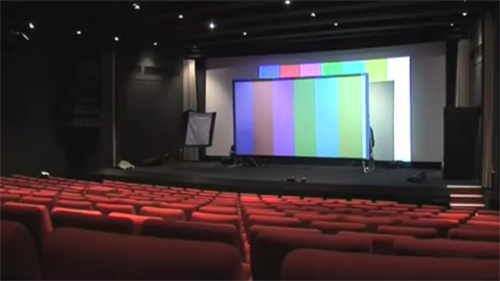 So they came up with the first cinema commercial that does not use a directly visible logo. During an exciting Superbike commercial they illuminated the BMW logo with a harmless photo flash onto the audience’s eyes. 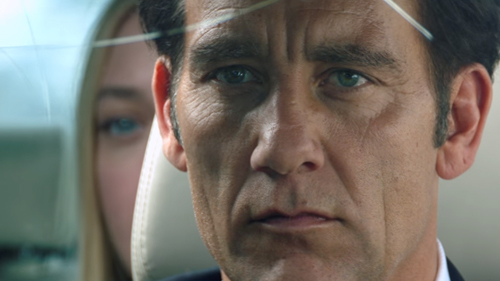 When the audience was asked to close their eyes at the end of the ad, they were surprised to see the BMW logo as an after image. 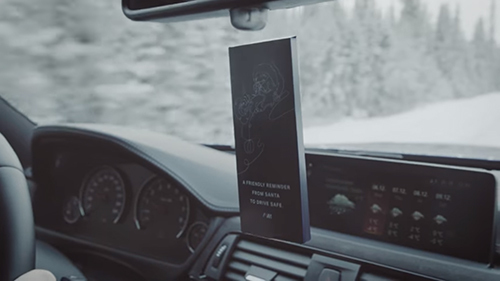 With this BMW literally got inside people’s heads – involving them instead of boring them. People who visited the movie shows were fascinated by this innovative performance. BMW Motorrad got a lot of positive feedback, especially excited comments on various biker blogs. Even film critics wrote about the event in their reviews. And of course there were several reports on TV. At the pre-season opening of the BMW Motorrad a significant number of younger people asked for information material about Ruben Xaus and his Superbike…the BMW S 1000 RR. The S 1000 RR then went on to be sold out till September 2010. A huge success in midst of a declining bike market. 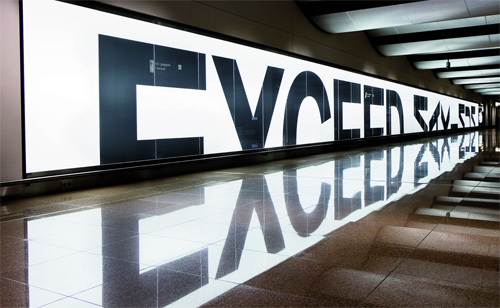 BMW asked Serviceplan from Munich, Germany to develop an idea for the BMW M3 Coupe as they had a very special billboard at the Hamburg airport – a 50x2m light wall in the middle of the arrivals hall. 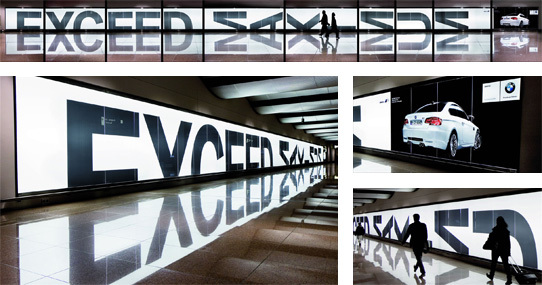 For a car that exceeds limits, Serviceplan created a billboard that exceeds limits. They designed a headline out of half letters. To complete them they used the reflection on the shiny floor. They not only managed to double the media space for free and but also doubled the attention for free!